Obtenteur : Ducher in 2014. Fleur : large, double, red velvet. To celebrate the 170 years of Rose Ducher, the hybridization work of Fabien Ducher stopped on this remarkable variety. 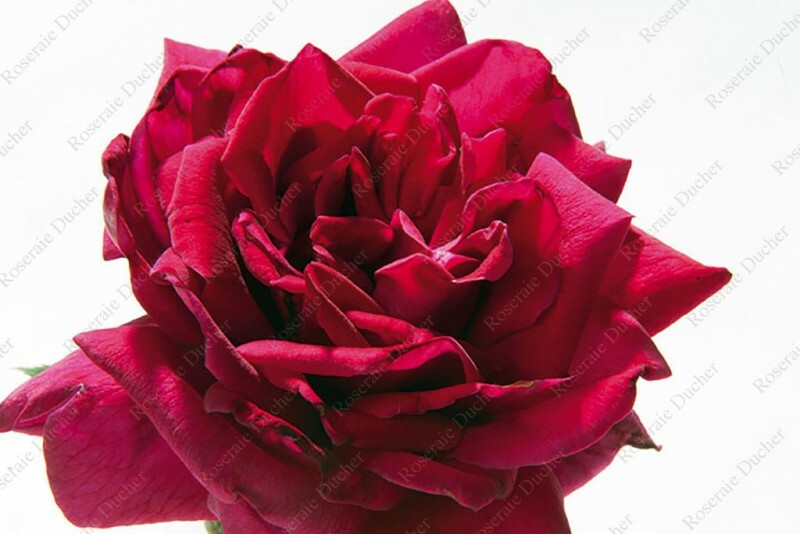 'Ducher 1845 ®' is a Tea hybrid shrub rose with velvet red flowers and dark green foliage. Its large fleshy flowers produce a perfectly balanced fragrance between rose and fruit (raspberry and lychee) giving this rose a greedy and and reassuring connation. The early flowering is abundant early and continues throughout the entire summer.